Snow Moto Racing Freedom lets you take your rightful place on a high-speed snowmobile on snocross tracks or through vast beautiful winter landscapes. Experience the thrill of racing so close to your opponents that you can feel the spray of their snow and hear the roar of their engines. Carve your own chosen path through exotic sceneries while stringing together extreme stunts high up in the air to gain that extra speed boost to fly past your opponents. Progress through Championships to unlock new snowmobiles and become a Legend. When you have mastered the local opposition, go online, show off your skills and make your mark in the world competitions! This is the ultimate snowmobile power ride! Snow Moto Racing Freedom was released on Switch 359d ago in the US and the UK. Notify me when Snow Moto Racing Freedom is available. Based on 2 Snow Moto Racing Freedom reviews, Snow Moto Racing Freedom gets an average review score of 53. Snow Moto Racing Freedom is a disappointing follow-up to last year's surprisingly enjoyable Aqua Moto Racing Utopia. 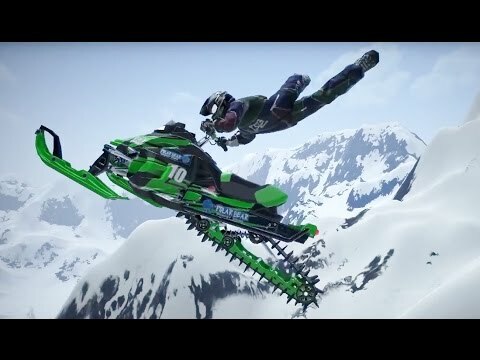 Snow Moto Racing Freedom offers a decent snow based arcade racer.